Sometimes, you just want to stay inside. (Aveda’s HQ is in Minnesota, where it gets REALLY cold, so we know the feeling of wanting to hide behind closed doors for a night or two.) There’s nothing wrong with an evening in, especially when you decide to treat yourself to an at-home spa night. You’ll emerge feeling more relaxed — and more radiant — after a few hours of caring for you, top to toe. 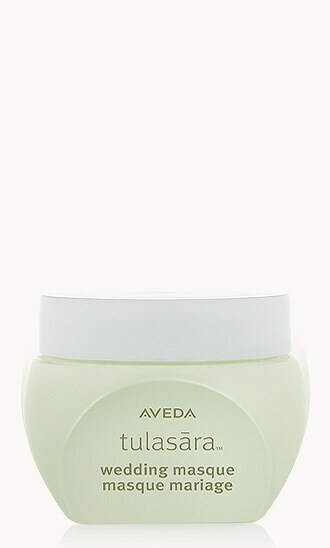 Sip on some Comforting Tea to make it feel like your favorite Aveda spa, right from the comfort of your own home. To make the most of your winter evenings, try our tips for a DIY spa night with a few of your favorite Aveda products, and emerge in the spring feeling as beautiful and renewed as a butterfly. Treat your skin to what it’s been craving, whether that’s extra moisture or a deep cleanse. Our classic Botanical Kinetics Deep Cleansing Clay Masque and Intense Hydrating Masque deliver instant benefits — Deep Cleansing Clay is great for congested, oily skin, and Intense Hydrating Masque gives you an extra dose of soothing hydration when you’re feeling dry and irritated. If an overnight masque is more your thing, try the Tulasāra Wedding Masque Overnight for face and eye, which do their best work as you sleep to brighten skin and visibly firm over time. If you’ve been feeling super stressed at work or at home, reach for Stress-Fix Soaking Salts and take a long, warm bath — no devices allowed! Lock the door, light a Shampure candle, and Zen out. Stress-Fix’s aroma of certified organic clary sage and lavender is actually PROVEN to reduce feelings of stress. If you’ve visited an Aveda salon or spa, you may have experienced one of our Composition Oils via a chair massage or full-body massage. Find the one that speaks to you, whether it’s calming Shampure or the nourishing All-Sensitive Body Formula. You can use Composition Oils in a variety of ways, from massage to aromatherapy; check out eight ways to use Shampure Composition for some inspiration. If you’ve noticed a serious loss of radiance since winter came to town, then spend a few minutes bringing back your outer glow with the Tulasāra Radiant Awakening Ritual. Simply buff your skin with the Radiant Facial Dry Brush; its rounded peaks help massage the skin and sweep away dull surface cells for instant exfoliation. Once you’ve exfoliated to your heart’s delight, apply the Radiant Oleation Oil to your skin and let it “steep” for four minutes or more. Do the crossword, call your mom or just enjoy a few quiet moments. Rinse and follow with your favorite Tulasāra Concentrate, Wedding Masque Overnight, or Renew Morning Crème for an even more vibrant glow. 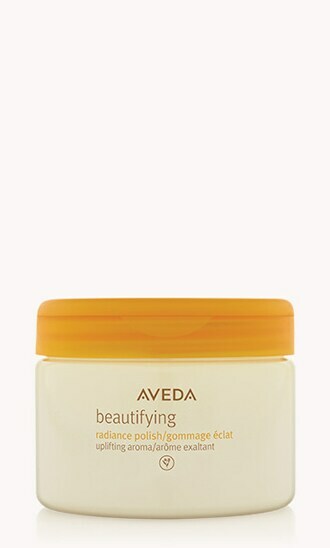 Brighten up your whole body by making a date with Beautifying Radiance Polish. It’s basically a spa treatment in a jar, what with its uplifting aroma of certified organic rosemary, bergamot, and lavender and its formula of mineral-rich salt crystals and certified organic plant oils. Scrub away any dead, dull skin on your arms and legs, then apply a rich moisturizer once you’re done and get ready for spring! Your hands and feet do some serious work every day, so give them the love and care they deserve. 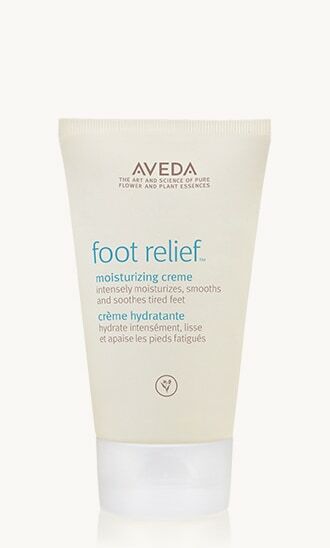 Add a few drops of Cooling Oil to a foot soak and massage to relieve any tension in your soles. Before you hit the pillow, apply Foot Relief to your soles and cover them with cozy socks to really soak in the moisture, then apply Hand Relief Night Renewal Serum and Hand Relief crème to hands to even the look of skin tone and intensely moisturize. It’s called beauty sleep for a reason. Catch up on your zzzz’s by setting an early bedtime and sticking to it. Don’t distract yourself with your phone, TV, or any other noisy device that might interfere with your calm vibes. Put your phone on silent and relax with a book, or simply enjoy the quiet until your eyes begin to close. Sweet dreams! Share this story with #LivingAveda on your social channels.